As an old house renovation contractor I am often approached by homeowners who want to replace their old windows. Sometimes this is the first item on their list when they buy an old house. They reason that the old, drafty windows are inefficient and hard to use and- quite honestly- often they are correct. But is trading in the old windows for new ones the best option? I don't think so and I'll tell you why. First, is the aesthetic argument. It is hard to overstate the contribution that windows make to the look of the house. Original, historic windows have the right proportions for the house and often have a delicacy that new windows lack. A contributing factor, too, is the character of the old glass with its waves and bubbles. Muntins (the slender pieces of wood between panes of glass) have profiles that are true to the period and style of the home. Georgian windows have a different profile, for example, than Greek Revival windows. Modern double glazed windows typically have fairly wide muntins that don't look right in most old houses. Whether you have an 18th century house or one that's only a few decades old, if you go with a replacement window your profile options are limited. Also new windows come with spring balances or other mechanisms for holding the windows up. 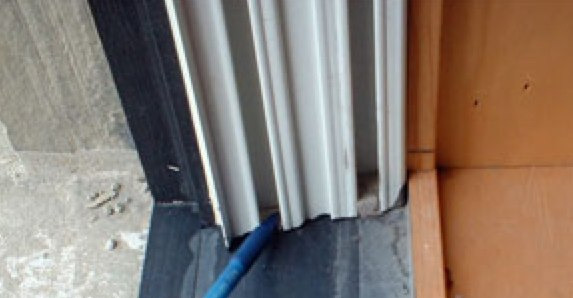 Many of the larger companies have improved the look of the balances and jamb liners, but still a lot of new windows have cheap looking vinyl jamb liners, like the one pictured below. 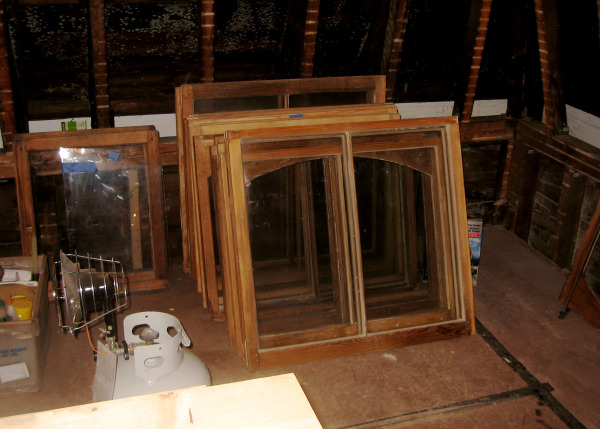 Second, keeping your old windows and restoring them is the green thing to do. Why throw the old windows into a landfill when they could be restored and given a new life? It's much more environmentally friendly to keep the old windows. Third, the energy efficiency of restored and weather-stripped windows- when combined with a decent storm window- is usually pretty close to that of a typical replacement window. Fourth, simple economics. The payback period for new replacement windows- the number of years it will take to recoup the expense of the windows through the energy savings- can be as long as 40-60 years becuase the energy savings per window is so small. It usually doesn't make sense economically to replace old windows.The payback period for weather-stripping and storm windows is much less. Finally, new windows are much less reliable and less repairable than old windows. My house, for example, still has the original window sash from 1831. That's almost 180 years of service life and they're still going strong! Modern replacement sash, on the other hand will not last anything close to that long. Most insulated glass will fail in less than 25 years because the seal between sheets of glass will fail and the glass will fog up. Modern sash are not easy to repair. When one breaks it is often necessary to buy a replacement sash. What happens when replacement parts are no longer available? Historic windows have parts that are readily available and most handy homeowners can replace sash cords, fix a broken pane, or install weatherstripping. Not convinced? Check out the Weatherization Guide put together by the National Trust for Historic Preservation. There's a lot more information there, including some case studies comparing the economics of restoration vs. replacement. If you decide to keep your old windows you may wonder what to do next. If you're handy and feel up to doing the work yourself, there are a lot of resources on the web. A quick Google search on "window restoration tutorials" or "window restoration videos" will turn up some really helpful resources. If you decide to hire someone to do the work, ask your state historic commission if they can recommend an experienced window restoration company. We're currently restoring the windows on a ca. 1870 house in Brookline, MA. As you can see in the photo below, we've removed the sash to strip the paint, repair broken glass, reglaze, prime and paint the sash. The sash will be re-installed but not before we weatherstrip the jambs with v-shaped bronze weatherstripping. If you leave in or around Massachusetts, give us a call. One of our restoration carpenters is a window restoration specialist. He's restored windows for us on houses of every period. We can also provide wood or metal storm windows and screens. What have you done with your old windows? Let us know what you think.